The new March edition of Chippy News is published later today. Here’s a sneak preview of the front page, which focuses on the new health centre being built on London Road. For your full fix of truly local news, sports, arts, clubs, schools and more, get your copy from all the usual outlets across town. 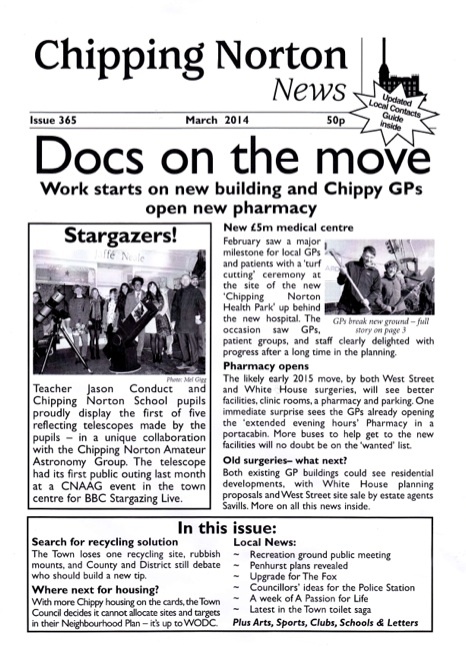 This entry was posted in news and tagged Chipping Norton, Chippy News, edition, health centre, published. Bookmark the permalink.